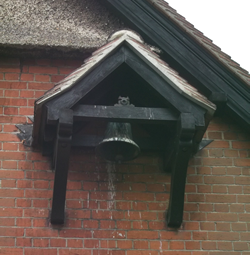 Our school is steeped in history and tradition, we have a beautiful school building and we still ring the same bell which has been rung at the start of the school day for the past 120 years. The original building was built in 1870 as a single room school for all children up to the age of 14 who were warmed by coal fired stoves. This is now used as the Sure Start Centre. Over the years the school became a Primary school then a County First School which educated children up to the age of 8 and finally in the 1990’s it became solely an infant school for children aged 4 to 7. Many buildings have been added and adapted to suit the growing size of our school, and to make it accessible for those with mobility difficulties. We now have spacious classrooms with high ceilings, extensive grounds and a large playground and field at the rear of the school. We are fortunate to have records and Headteachers logs, dating back to the day the school opened. Visitors to our reception area always marvel at our historical photographs, which are treasures that we use to help teach our children about the past, and their role in creating the future. Many grandparents and parents can spot themselves in the variety of images that can be found on display. The school has always been at the heart of village life. We are proud of our history and many ex-pupils remember us fondly, returning to see how the school is continually developing but fundamentally remains the same.